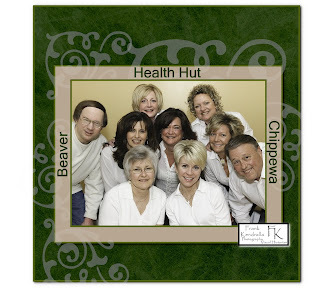 Recently I had the pleasure and honor of shooting a few portraits for Health Hut, a local health store in Beaver and Chippewa. I have been shopping at both stores for many years and I can tell you from experience they are some of the most helpful and friendly folks you will ever meet. For those of you that know me, know that I have been a 'health nut' long before it was popular. Back in the 70's, in my late teens, I jumped on board to the 'health nut' wagon and continued riding it throughout my 'adult' life. I do not remember exactly when I started shopping at both stores but I always remember how kind and friendly they treat me and everyone in the store. They go out of their way to talk to everyone, treating each customer with respect and kindness. Nothing against a chain store but this type of treatment and/or knowledge is not found in most chain stores. If you live in the area or are passing through either city, stop in and browse their wide selection. So when I was asked me to do a few photos for their new site, I was thrilled and count it an honor to capture a split second in time for them. Oh yea, watch this blog for a few tips on baby portraits. I am catching up on a few recent shoots and will have a few more post this coming week. Till next time, get out and capture the beauty of God's amazing creation.